Enerco Energy is one of Ireland’s leading renewable energy developers and has a number of interests in various hydro electric projects. Hydropower has been used for thousands of years and contributes the largest portion of renewable energy to the overall energy requirements. Due to its extensive use, efficiency levels are high and hydropower measures competitively with other fossil fuels. 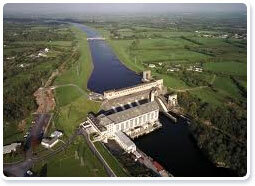 Renewable energy is not new to Ireland as in the 1930’s the generation of electricity was almost 100% renewable due to the Ardnacrusha hydro-power plant on the Shannon River. This was later followed by the construction of several more hydro plants which were completed by 1949 and together harnessed 75% of Ireland’s inland water power potential. Hydropower uses the Earth's water cycle to generate electricity because movement of water as it flows downstream creates kinetic energy that can be then converted into electricity. Water constantly moves through a vast global cycle, evaporating from lakes and oceans, forming clouds, precipitating as rain or snow, then flowing back down to the ocean. The energy of this water cycle, which is driven by the sun, can be tapped to produce electricity. There are a number of hydroelectric facilities; they are all powered by the kinetic energy of flowing water as it moves downstream. Turbines and generators convert the energy into electricity, which is then fed into the electrical grid. The facilities include impoundment, diversion and pumped storage. The principle of how PHES operates is shown below. It consists of two reservoirs at different levels connected by a pipeline with a powerhouse located at the lower end of the pipeline. The powerhouse contains a pump/turbine which acts as a turbine when the water is flowing downwards and turns the turbines, which then power the generators to produce electricity at peak time during the day. 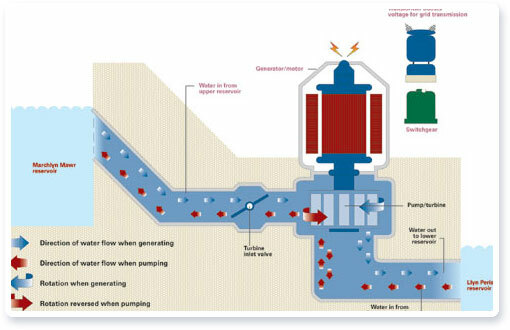 At night during off peak time the turbine reverses and acts as a pump as the water is pumped back up to the upper reservoir. PHES facilities provide a number of benefits such as improved energy regulation and operation of the supply grid, ancillary services aswell as environmental benefits. 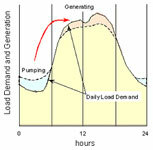 Blackstart Capability: Pumped storage plants can be started without the help of the electrical grid. 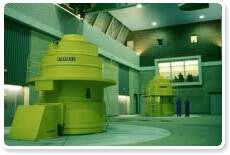 Balancing Power: As shown below pumped storage plants can be used in order to deliver balancing power. Fast Response: System operators need to be able to supply additional electricity within seconds. Environmental benefits: Reduced gaseous emissions. Commodity storage: Peaks in the energy system are levelled out using excess electrical power. There are a number of highly successful pumped storage facilities which are in operation throughout the world including many large facilities in Japan and America. 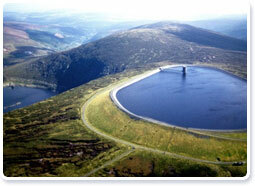 Closer to home, Dinorwig in Wales has a capacity of 1,890MW while Turlough Hill in Ireland has a capacity of 292 MW.